There's no doubt that Dory speaking "whale" in the original Finding Nemo was one of the most memorable and hilarious aspects of the film. It's an iconic running gag that will be making its way into Finding Dory without question. 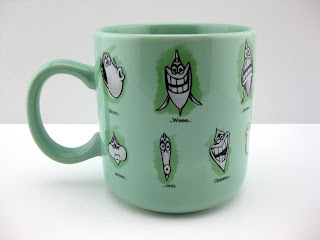 Now even YOU can learn to speak whale with this amazing mug sold now exclusively at Disney Parks! And who better to teach it than Dory herself? 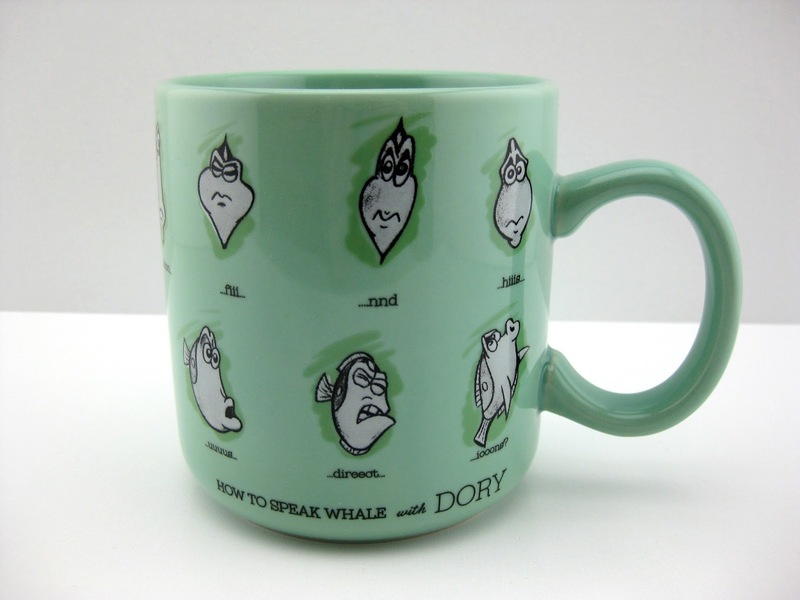 On this mug you'll find 16 hilariously sketched exaggerated Dory expressions, as well as 16 "whale" phrases. Since I'm quite fluent in whale myself, I can translate it for you. 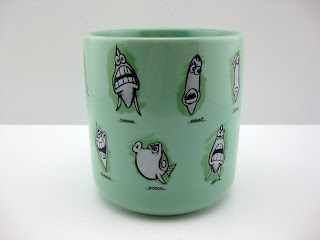 The mug says: "We need to find his son. Can you give us directions?" No joke. 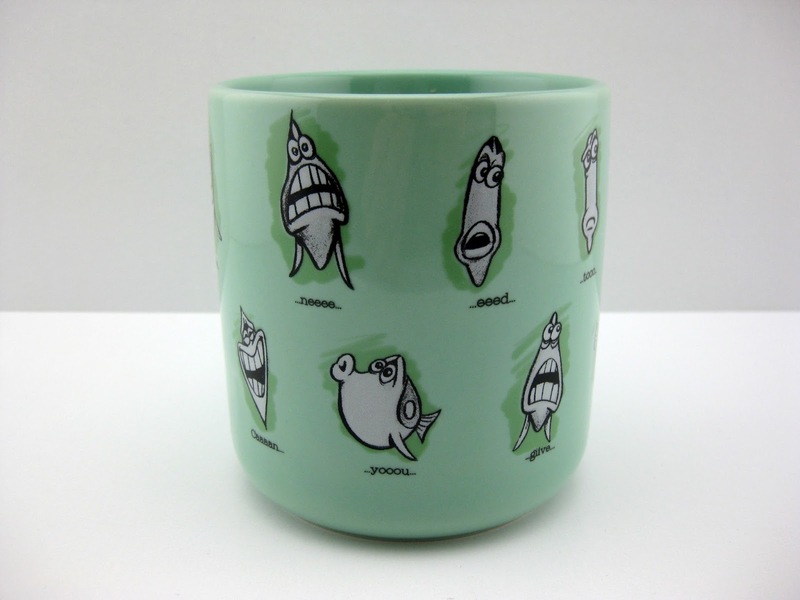 This ceramic mug is 5" high x 3.5" wide (at the mouth), is dishwasher/microwave safe and holds 16 oz. of your favorite hot beverage (hot chocolate all the way for me). Retail is $12.95. I grabbed this at the World of Disney Store in Disney Springs during our recent Disney World vaca, but I saw it at a ton of other shops throughout the parks as well. Just check the Shop Disney Parks app for availability! You can purchase this on the app or at WDW Store HERE.